If you think, need a virtual assistant for Data Entry, Finding Person, Data From different resources or web research , then you on the right place. 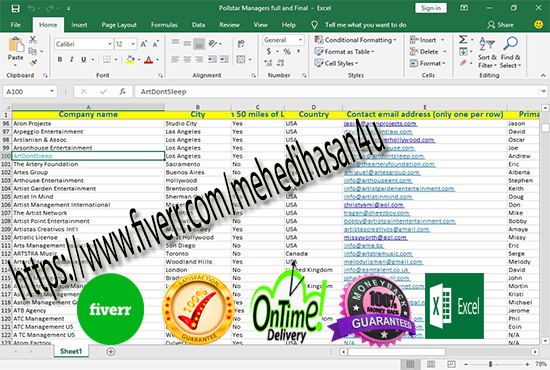 I will do any kind of Data Entry or web research for you with 100% satisfaction. I will provide you outstanding work within time frame + 100% Accuracy. And any other type of admin support tasks. You will be must surprised with the speed and quality of my work. data entry, data collection and internet research jobs is ranked 5 out of 5. Based on 2 user reviews.